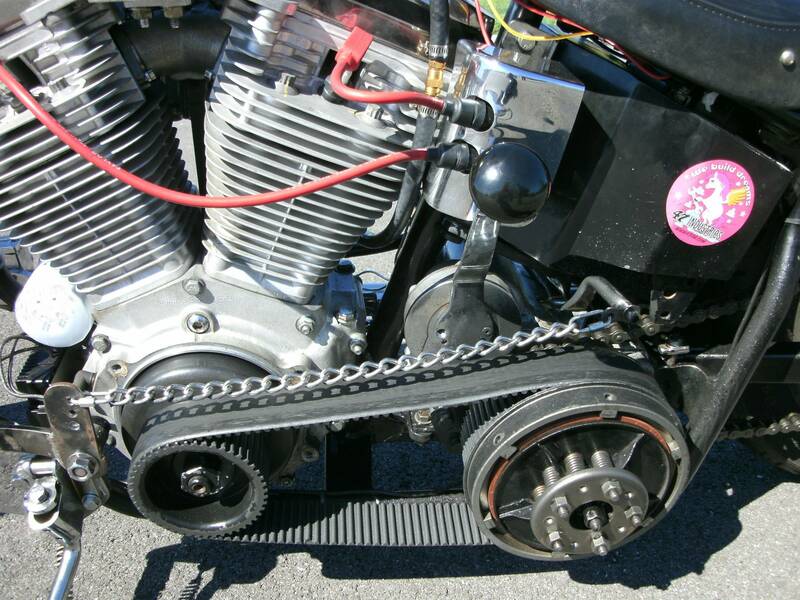 I use generic gear oil to lubricate my motorcycle’s chain. I have a modern fuel-injected machine, so the chain is the only source of storm-water pollution I can think of. I try to use as little oil as necessary to keep drivetrain lubricated and efficient, and reduce fling. Yet, “as little” is not “none at all”, so I am looking for some alternatives, vegetable or synthetic, that would be economical, minimizes pollution of the soil and water, but at the same time would posses necessary qualities of lubricity, viscosity, and not very sticky to reduce attraction of dirt. If the same type of oil could be used in the marine outboard motor’s gear case, all the better. In both applications, my needs are by no means high-performance — 12 kW (16 rwhp) motorcycle, and a range of outboards of up to 20 hp. However, the more options, the merrier. 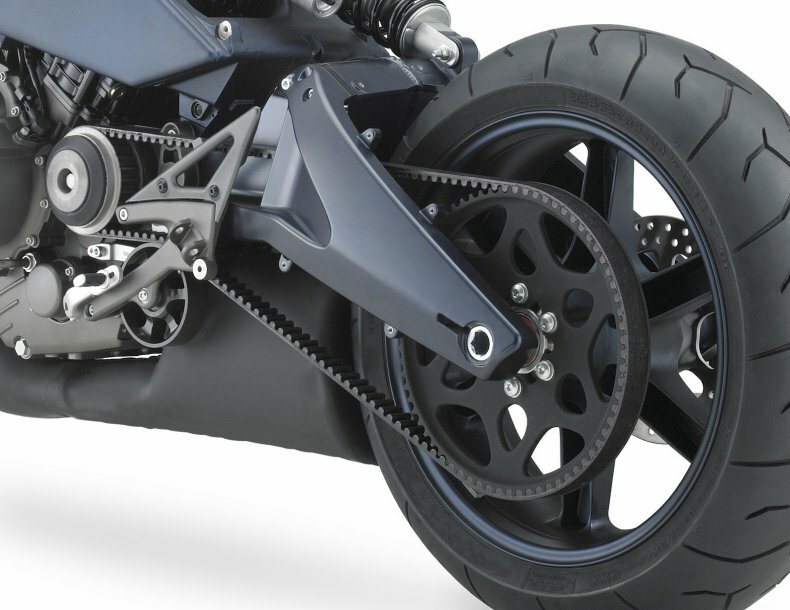 Commercial/ Factory designs have been replacing the power transmission of "lubricated chains" and "gear mechanisms" with high performance "Timing Belts" made of special polymer composited with steel fibre etc. One of our family was extensively involved in such redesigns/ solutions in all possible industries beyond automotive that you can think of (hydro electric, textile, machinery, airport, industrial/ manufacturing, arms manufacturing, food production & so on). And as a student I remember watching this case study video that talked about how Harley Davidson that benefited a lot from adopting certain company's high performance belts. I could not find that video, but I'll try again to find it for you. There's industry of Billions replacing chains with such "Power Transmission Belts". Update: Such a mechanism/ drive train added to a bicycle with Infinite Gears using CVT. 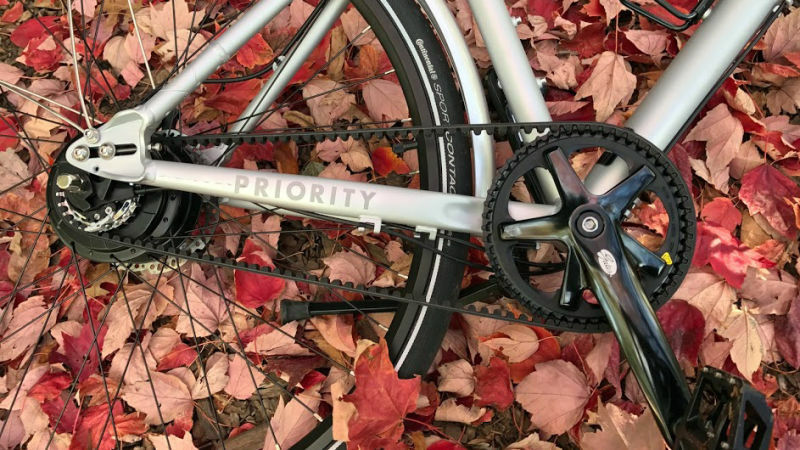 For starters, the belt drive is a lube-free affair, so you never have to add grease, and rust shouldn't be a problem (also, no grease on your pants if you're commuting to work). Priority is using the C-Drive system, which has gotten extremely popular in Europe but hasn't blown up stateside yet. The Continuum gets its name from the continuously variable transmission (CVT) hub located on the rear wheel that gives the bike a spectrum of gears rather than a fixed number. This style of hub gave me a much smoother ride than a derailleur system, since the drivetrain components weren't brashly jumping between fixed gears on different sprockets but instead smoothly moving over the surface of rotating balls. Gates, the maker of the belt drive, claims it lasts about 10 times longer than metal chains, and it's easy to imagine after a few months using it. The drivetrain has shown no signs of significant wear even after riding through rain and snow. It's rust-proof, never needs grease, and most importantly, provides a smoother ride because it's not rattling like a goddamn metal chain would. The belt drive alone has changed my life, and now that I've used one, I'm never ever going back to using a bike with a metal chain. I can't emphasise how much smoother the ride is and the immense benefit of getting rid of the chain derailleur. First of all you are picking up pennies while the world is burning bills. The amount of oil from your chain is small even compared to the amount of oil that comes out of your exhaust, which in turn is small compared to the unburned hydrocarbons from the gasoline, which in turn is small compared to what everyone in their SUV's are releasing. You are already a good citizen. But that's not what you asked. Take a look at some of the products at bicycle shops. One product I like is a graphite powder in mineral spirit solvent & oil. The spirits evaporate, leaving the graphite with enough of a film of oil to keep the graphite from running away. There is similar product that uses Teflon. A friend who is an ardent cyclist claims that for these to work well, you have to remove ALL the oil from the chain. This usually means two washes with solvent, then a wash in acetone to remove the oil film left by the solvent. But talk to the guys in the bicycle shop. Caveat: The forces between chain and tooth are a LOT smaller on a bicycle than on a motor bike. If this doesn't work you may need two new sprockets and a chain. My estimate is that the graphite would work better. The key for it is keeping it attached to the chain. For an outboard motor, the key is keeping the seals intact. Also: Many outboard motors discharge their exhaust under water. This is NOT friendly. Run your motor in a barrel of water for 20 minutes, let the water set overnight, and look at the reflection in the morning. Almost all pollutants are tolerable sufficiently diluted. Using a tiny put-put going through a swamp that sees a dozen boats a year is unlikely to be an issue. Take close look at the shore line, however at any marina. Not the answer you're looking for? Browse other questions tagged pollution oil or ask your own question. How safe it is to produce, use, and dispose of PVC?